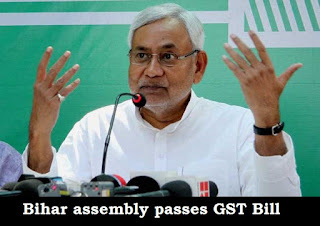 Bihar has become first non-BJP ruled state to give its consent to the GST Bill on 16th August 2016. Bihar government held a special session of Bihar state legislature to ratify the constitution amendment bill on Goods and Services Tax, GST. As per constitutional provision before enacting the law of GST, the bill has to be passed by at least 50 percent of the State Assemblies. 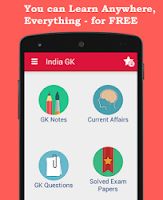 The GST Bill is aimed at bringing uniform tax regime in the country by subsuming state levies. Bijendra Prasad Yadav, State Minister for Commercial Tax, introduced the Bill in the Assembly. The state legislature will also pass Bihar Municipality (Amendment) Bill, 2016. Bihar is the first non-NDA state to ratify the GST Bill. Assam has already ratified the amendment to introduce the tax reform that was passed by Parliament recently. The GST Bill, seen as single biggest tax reform in a long time, needs to be ratified by at least 15 state legislatures before the President can notify the GST Council which will decide the new tax rate and other issues.